Our academic program is rigorous and intellectually exciting. In the lower grades, the curriculum emphasizes mastery of reading, writing, math, and science. 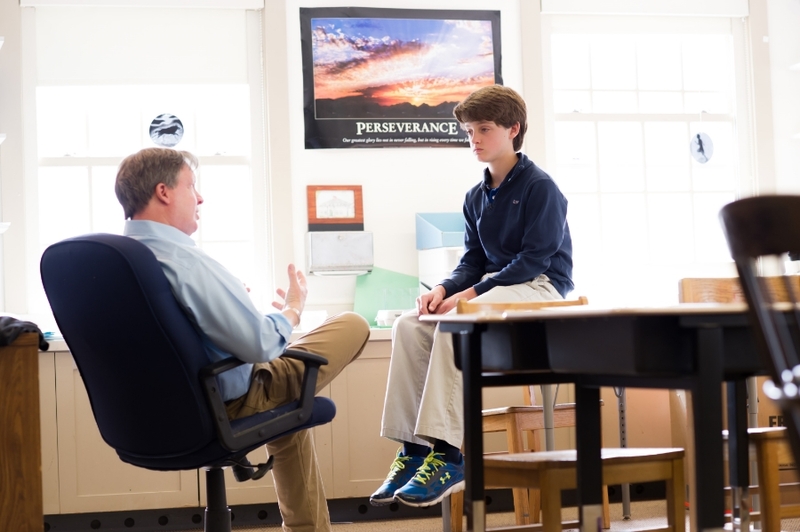 In the upper grades, students synthesize what they’ve learned as analytical thinkers and creative problem-solvers. The classroom environment encourages energetic participation, collaboration, and hands-on learning. The school day not only ensures that a student’s classroom experience will be productive and joyfully focused on learning, but it provides the time and space for boys to be themselves and connect informally with friends and teachers. Fenn teachers are men and women who share their passions for learning with students and who find it deeply rewarding to help shape boys and to give of themselves so boys can thrive. When you visit Fenn, you will see the warm camaraderie between teachers and students, which is evident in the easy give-and-take and respectful affection that they share. Fenn’s academic program is deliberately broad, offering a range of learning opportunities that allow teachers to create educational experiences that motivate each boy, engage him in intellectual discovery, and build his confidence.